I try to waterproof as much of our outdoor materials as possible. I’ve even found ways of making water-proof books and board games that can be left out in all sorts of weather without being damaged. But there are other things that I’d rather not get left out in the rain. Things like chalk. Magnetic letters. Dress-up Supplies. I have traveled quite a bit with my children, even before I started homeschooling. Enough that, while I still wouldn’t consider myself an expert, I’ve certainly picked up a few tricks along the way. Beyond that, I’m a self proclaimed “get-up-and-go” type homeschool parent. I want to join groups and attend events. I want my children to have a rich childhood, full of adventure and hands-on learning. To learn from life itself. I’ve written before on living a life of adventure regardless of where you live and how tight your budget may be. We have just moved to my husband’s home-state and, in an effort to get me excited about the area, Marmaduke purchased me a guide book with many historical and natural must-see sights. This got me thinking about a handy little DIY travel guide that I made when we lived overseas. 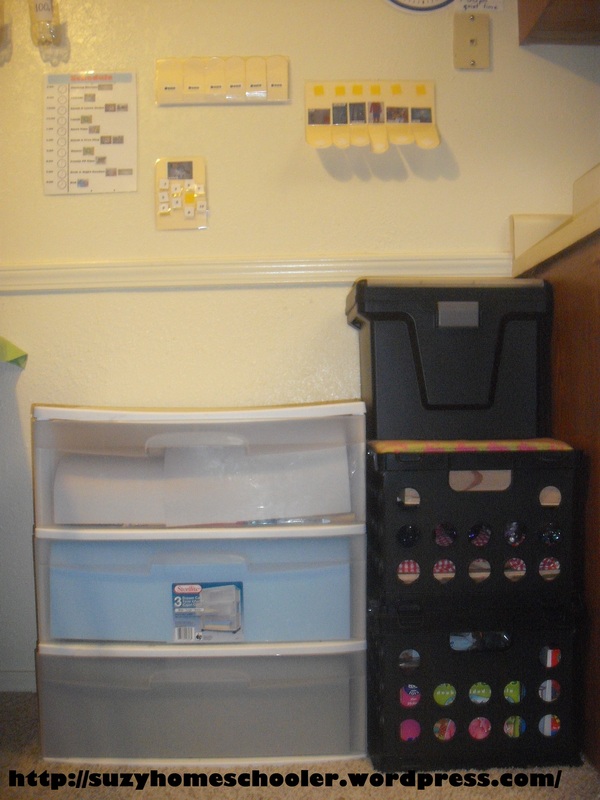 When I did the little tour of our classroom, I showed a glimpse at my filing system. Ever hear the expression, the days drag on forever but the years fly by? Thats how I feel about summer in a nut shell. 20 minutes can feel like 2 hours, but 2 weeks can feel like 2 days. You think you’ve got all the time in the world to….whatever it is you had planned to do this summer, but before you know it, the summer is gone, times up and you’ve got to shelf all those fun plans for next year. You only get about 18 summers with your child. Less when you consider those first few summers they will be too young for certain activities. Less again when you consider those last few summers they will be spending working and/or hanging out with friends. 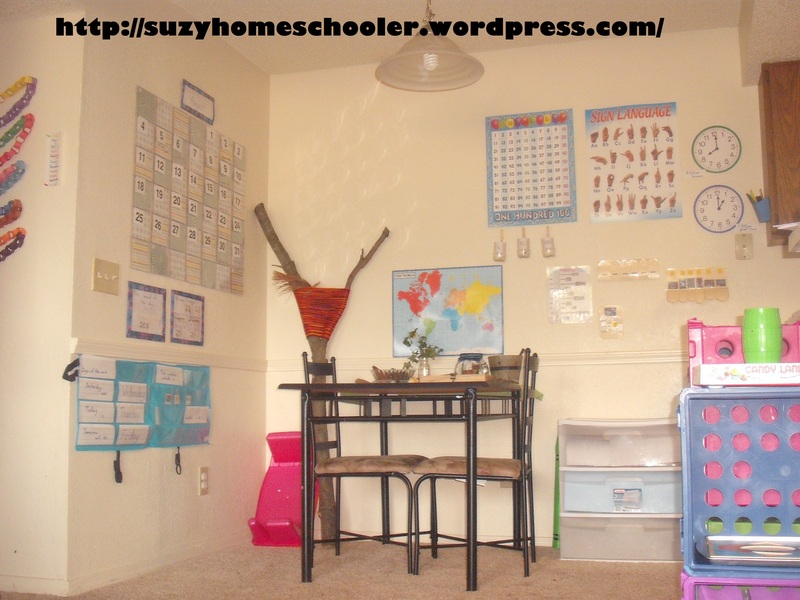 Like many homeschooling moms, I have educational posters on my walls. Map of the world. 100s chart. ASL alphabet. And sometimes drawing attention to a certain part of a poster can be a pain, literally a pain in the arm. Also when I use my hand to point out things on a poster, I find that sometimes it blocks out the view of part of the poster. I wanted a pointer. But not just any pointer, I wanted a long pointer that was small and wouldn’t block LittleMan’s view. I had seen plastic pointers at Mardel and even Dollar Tree (they looked the same though Mardel’s cost 3 times as much), but the hand at the end was just so big and awkward. 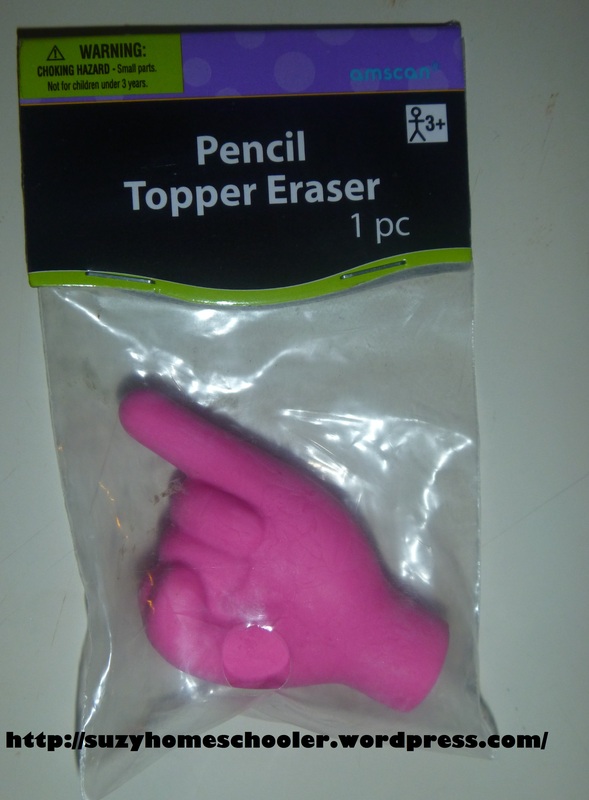 Then I saw this little pencil top eraser at Party City. 25 cents. They had pink, red, blue, yellow, green. 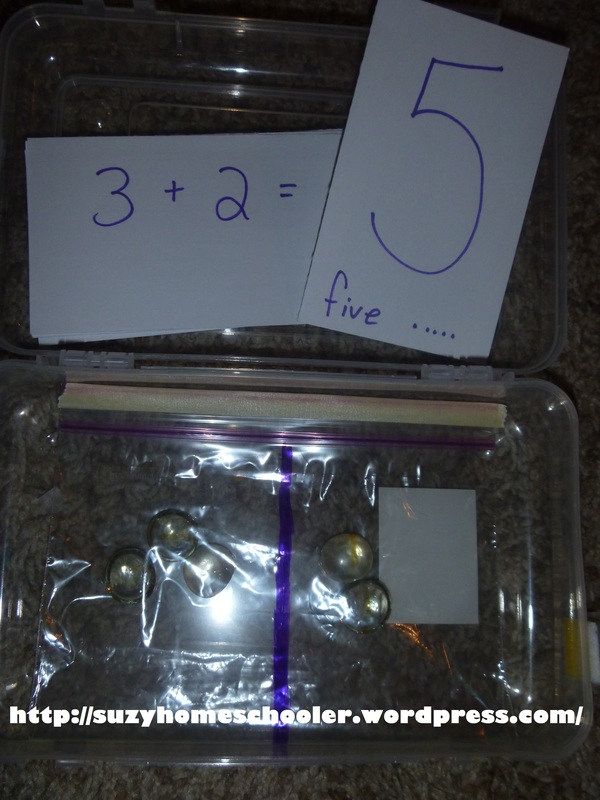 In my previous post , I mentioned my box system for completing lessons with my son. 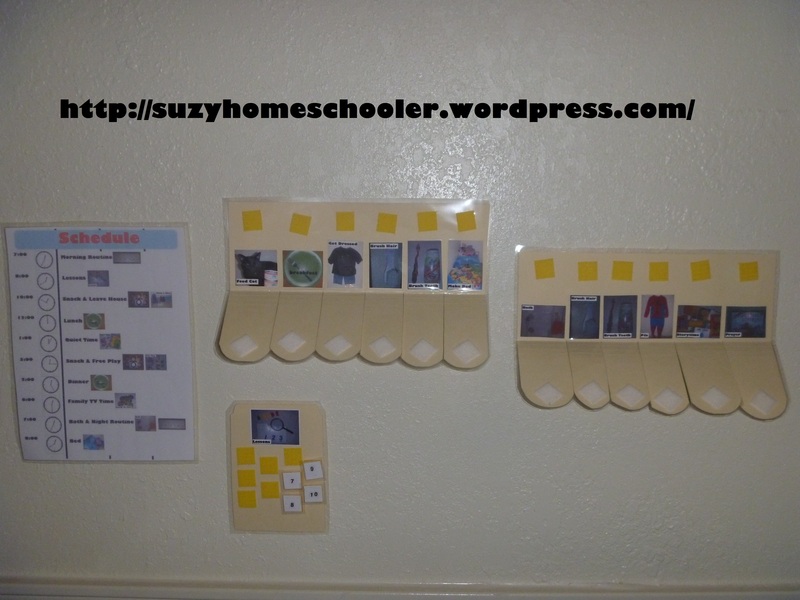 Its quite simple actually, I simply have velcro numbers which attach to the side of each box and as my son completes the lesson in the box, he removes the velcro number and adheres it to a chart on the wall. I have 10 boxes however I don’t actually need 10, I just like to have more than I need. Usually we do 4-6 boxes a day, each box takes no less than 5 minutes to complete, no more than 20. Some boxes he can complete on his own, giving me time to tend to SunnyGirl, other boxes require my participation. The following is a compiled list of examples, lessons I have used in our box system. Let me preface this post by saying, I’m not about blind obedience. I *LOVE* that my son questions authority! Did you ever notice that most of the founding fathers qualify for ODD? With the right guidance, a stubborn, opinionated child can become an adult with convictions and passions. So on that note, I want my son to argue his heart out when we debate who is the best superhero. I hope he dazzles me with his persuasive skills when he argues for a later bedtime. But there are just some things that aren’t worth fighting over! Things like brushing his hair, getting his shoes on. Daily routines. I finally found a way to not only get my son to stop arguing with me, but to get him excited to do the mudane everyday tasks he used to fight: picture charts.